The entire terrestrial scheme is what is laid out in Narad’s song of evolution. It is a Truth-song; it is the song of new birth, the song of transformation, a song which can be sung only on earth. “Heaven in its rapture dreams of perfect earth”—that is what we hear in it. Such a song is first born somewhere high up, even perhaps beyond the home of the heavenly immortals. When it comes down here rushing through the luminous spaces and continues to resonate even in the atmosphere of the earthly Matter, it changes the very tone and character of the entire existence, tissue and cell quiver in the breath of conscious Life. This Matter is stirred up by its powerful potency and vibration. …Transfiguration and ecstasy are the result. And therefore as Narad sings the song the demons weep with joy, foreseeing the end of their difficult and horrendous task. The author takes the 83-line opening passage from Savitri, "The Book of Fate", which announces and describes the arrival of the sage Narad at Aswapati's palace in Madra, as the focus of his study, suggesting it as a point of entry to plunge into the very heart of the mystery of Sri Aurobindo's epic poem. He follows several discussion threads suggested by the passage, including the ancient theory of five elements and their deeper subtle-occult chemistry, a varied look at evolution's scientific and occult-yogic aspects and its fullest gnostic possibilities, and a deeper examination of a few key phrases from these lines of poetry that illumine the significance of Narad's appearance in the narrative. Medhananda, a German disciple who served as the librarian of the Sri Aurobindo Library for many years, was also a researcher and interpreter of the symbols in ancient cultures. In this book he examines several myths, tales, and legends in the light of mystic experience. What he sees are not stories about nature gods or tribal histories of kings and warriors, but facts, events and powers of the inner life. For him Heracles is not the muscle-bound hunter and hero of Greek myth, but the seeker of ultimate Truth, a symbol of the awakening consciousness of man. Other interpretations concern tales from ancient Egypt, the Bible, and the Brothers Grimm. 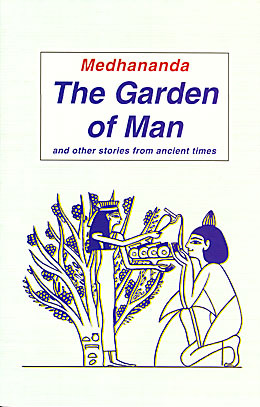 An avid student of ancient symbol-languages, Medhananda wrote this book of translations and interpretations, almost meditations, on the meanings behind three symbol-texts: a 3500-year old hieroglyphic message from an Egyptian tomb, the iconic image of the tree as presented in several ancient cultures, and an old Egyptian fairy tale. He views and presents these as teaching images, symbols that lead the reader towards self-awareness. Publisher: Sri Aurobindo Society, Puducherry, in association with EastWest Books (Madras) Pvt. Ltd. 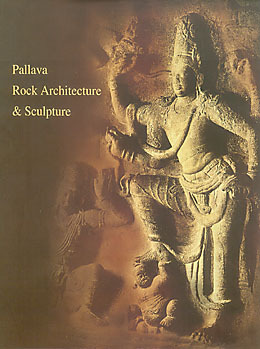 Divided into sections devoted to the eras of two great Pallava kings, Mahendravarman and Narasimha Mahamalla, this book describes the development of the Pallava cave temples in Tamil Nadu from their early, primitive outlines to the intricately sculpted creations of Mamallapuram. Enriched by more than 200 black and white photographs and illustrations and printed entirely on art paper, it provides both extensive historical backgrounds to these eras and the panoramic details of rock architecture and sculpture as developed during these times. The author has used quotations from Sri Aurobindo's works, primarily The Renaissance in India and Other Essays on Indian Culture, to add a spiritual dimension to the historical, cultural, and traditional religious explanations behind the temple depictions. This book reveals many of the unforgettable experiences of some eminent personalities of Sri Aurobindo Ashram and Auroville who have shared some golden moments with the Mother.